Cloverleaf Shaped Array, 30 cm (diameter) x cm x 25 cm (Height) with four entry slits x 5 (+/- 1.5) mm wide. Secor, D.H., J. Hansbarger, 1992. 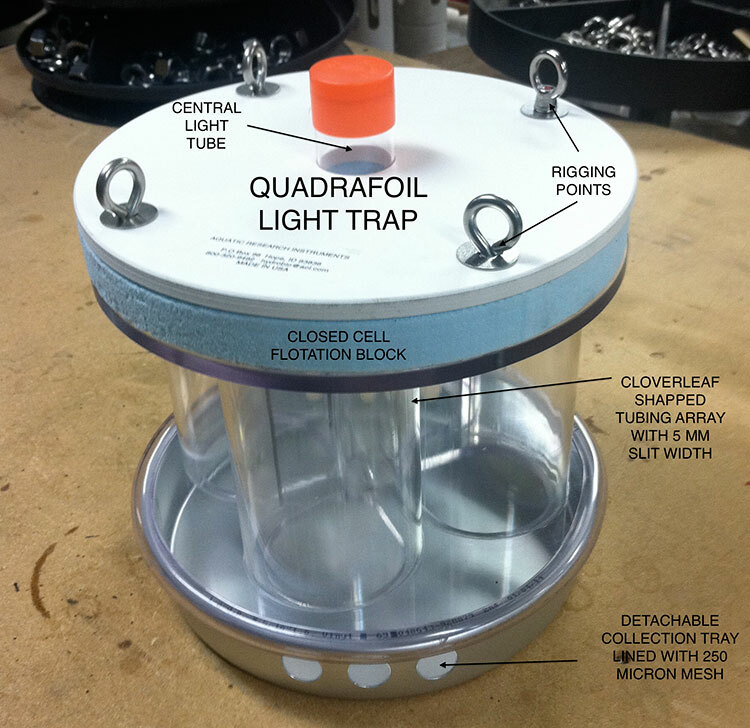 Modification of the quatrefoil light trap for use in hatchery ponds. Prog. Fish. Cult, 54:3, pp 202-205. Floyd, K.B., W.H. Courtenay, and R. D. Hoyt. 1984. A new larval fish trap: the quatrefoil trap. Prog. Fish Cult., 46:216-219. Ulrich, G.W., 1986. 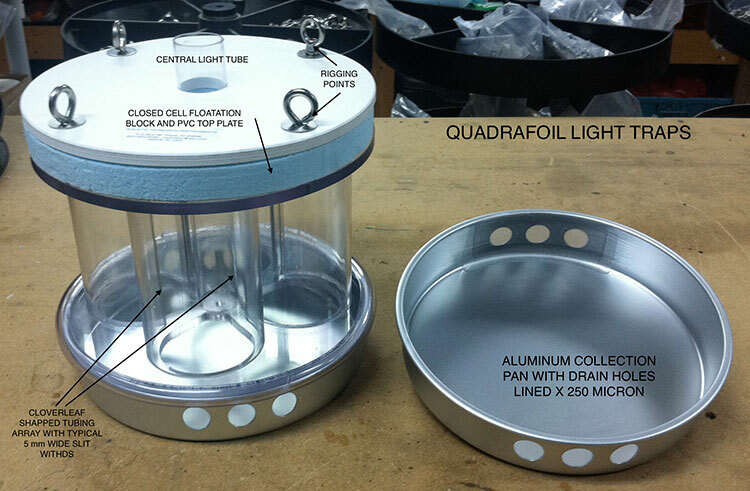 Construction of a compact submersible aquatic light trap. Pan-Pac. Entomol. 52:2, pp 144-149. Faber, D.J., 1990. A light trap to sample littoral and limnetic regions of lakes. Verh. Int. Ver. Theor. Limnol. 21:2.